Please note that El Corotu Condos (Item Letter G) are planned for future construction and are not yet available. 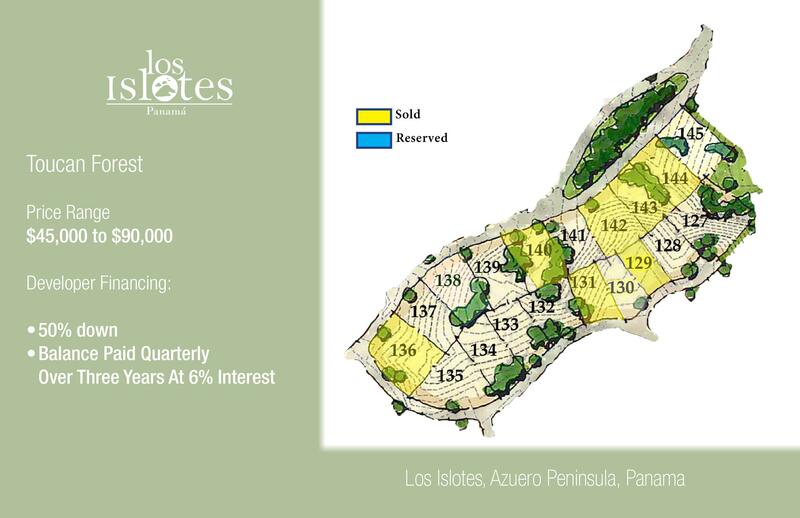 Please contact Peg Fairbairn at bairnhess@losislotes.com to schedule a private tour of Los Islotes. 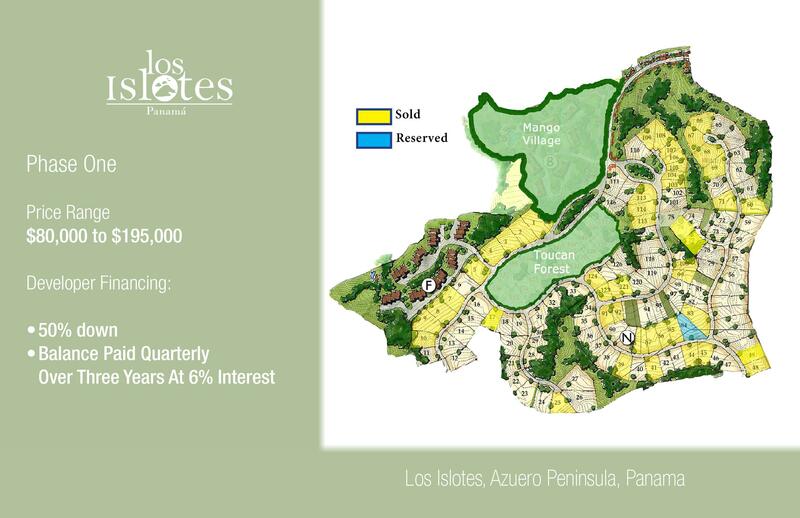 Tiburones Estates is one of the most exclusive areas in all Los Islotes. This private enclave enjoys privileged ocean views of both Los Islotes beaches. Crashing ocean surf when you look to the left and the gently rolling waves of the swim beach when you look to the right. Lot sizes in Tiburones Estates range from .27 acres (1,100 meters squared) to .48 acres (1,954 meters squared). Lot prices range from $149,000 to $249,000. 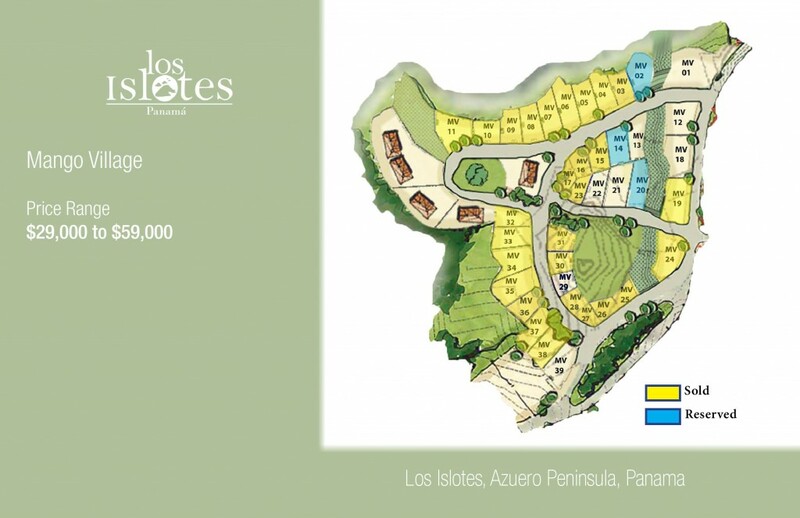 Lots in Tiburones Estates are ideal for private custom homes of value. Developer financing is 20% down with the balance paid quarterly over three years at 0% financing. These lots show case the rolling topography unique to this Pacific coastline. The lots have all been laid out to take advantage of the long-range ocean vistas and sea breezes. The topography ensures your neighbors won’t obstruct your view. We have a total of 92 Ocean View Lots. Ocean lots range in size from .25 of an acre (1,002 meters squared) to .88 of an acre (3,581 meters squared). Ocean view lots range in price from $65,000–$195,000. Developer financing for ocean view lots is 20% down with the balance paid quarterly for 3 years at 0%. If green is your thing these lots are for you. Twenty lots are nestled into the surrounding hills embracing you with emerald green mountain terrain. These lots make up for the lack of ocean view by providing an 18% cost savings per square meter. There is plenty of room to build the tree house of your dreams. Mountain view lots range in size from .25 of an acre (1,007 meters squared) to .66 of an acre (2,681 meters squared). Mountain lots range in price from $50,000–$124,000 and include all of the same beach front amenities. Developer financing is 20% down with the balance paid quarterly over three years at 0% financing. We are updating our maps, please ignore Price Range and Developper Financing seen here. 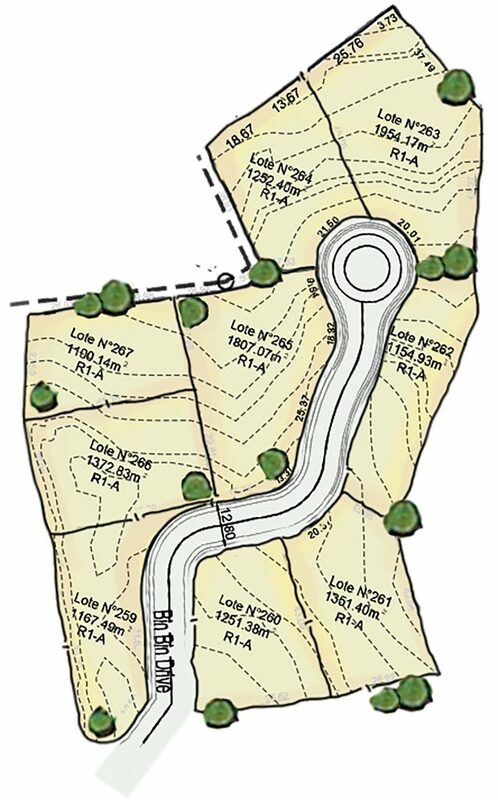 These lots are perfect for the person looking for privacy in a gated community. Most of the 19 lots in Toucan Forest are heavily wooded, providing an authentic jungle feel, yet you are only minutes from the beach. 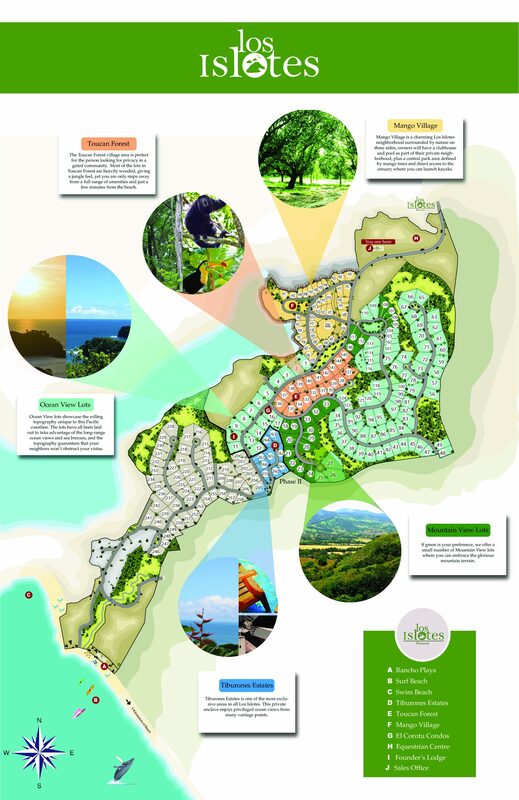 Toucan lots range in size from .26 of an acre (1,063 meters squared) to .66 of an acre (2,686 meters squared). Toucan lots are priced from $44,000 to $89,000. Developer financing is 20% down with the balance paid quarterly for 3 years at 0%. This is a neighborhood of 40 smaller lots ranging from .13 of an acre (544.91 square meters) to .33 of an acre (1,332.72 meters squared). Mango Village lot prices are between $29,000-$79,000 with an average lot price of $47,000. This neighborhood is ideal for someone looking for an opportunity to have a low-cost residence option close to the beach. Mango Village lots are without ocean view but at high tide you have estuary access. You can launch your canoe, kayak or stand-up paddle board from Mango Village and be in the Pacific Ocean in no time. Developer financing is 20% down with the balance paid quarterly for 3 years at 0%. We are updating our maps, please ignore Price Range seen here.